B-But Where Will the Cars Go? Brace yourself as you look at these photos detailing the expansion of Edmonton's LRT system. 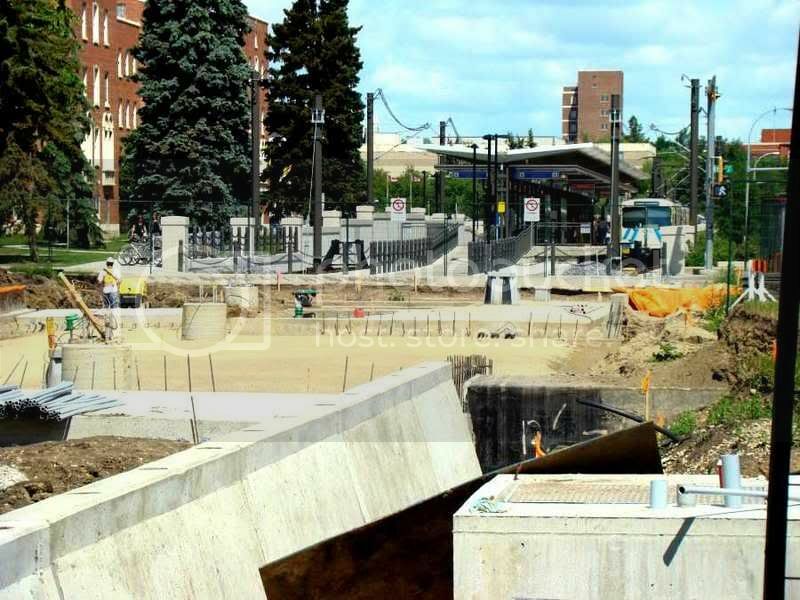 Unlike Hamilton, where this level of construction is only ever seen on roads for exclusive use by cars and trucks, these construction images are from Edmonton, where major expansion of their LRT is underway. Perhaps it's time for Vegas odds-makers to start wagering on whether Hamilton will be the last mid-sized North American city (top seven in Canada) to construct an urban light rail/streetcar transit system. Heck, even the odd traffic signal controlled by buses would be a nice step forward into the '80s for us. i'm forever pessimistic about this city but i think they're going to take the bait on this one. i'm confident that fred can pull this off.